Why trust what we say? We have booked 75,000+ trips for our customers from 1,000+ companies. We specialize in flight routing, airline/hotel pricing, credit cards, loyalty benefits and providing localized 24/7 support across the globe. We have a track record of delivering genuine savings to customers from 188 countries. Why managing travel isn’t easy? a. Why companies still travel? Companies still travel for many reasons such as conferences, implementation projects, candidate interviews and sales meetings. Speaking with someone face-to-face is more intimate and can lead to stronger connections and increased business. Whether the increased business covers the cost of travel (compared to video conferencing) depends on many variables, but most companies still swear by in-person meetings. Booking travel for yourself online at retail prices is relatively easy; the difficult part is managing travel for a team, especially a team that needs to be productive. Credit Card Authorizations - If your company books travel on a company credit card, someone needs to handle the credit card authorization forms for all hotels and even some airlines. These need to be faxed (yes, faxed). Without these forms, airlines can deny boarding and hotels may require re-payment. Managing these forms and making sure they’re all received is a nightmare. Cost vs. Convenience - The most convenient itineraries typically cost 2-5 times the cheapest itineraries. If your company has no controls in place, travelers will book the most costly options. When you try to implement controls, you will need to designate someone as “bad cop” to reject exception requests. As you grow, this will become a job no one wants. Emergencies - People miss flights all the time. 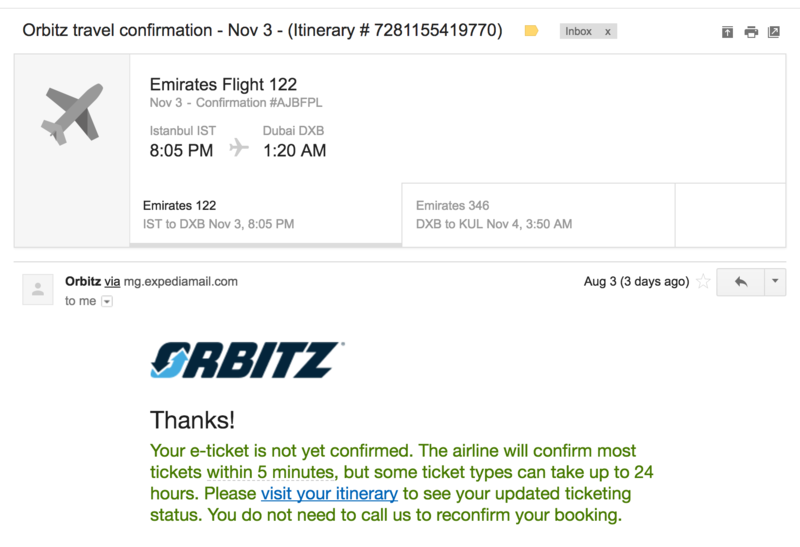 Have you ever tried to re-book a non-refundable international flight at the airport? It can cost thousands and take hours to resolve. What about a group of 20 who miss a flight and have all of their subsequent flights cancelled with no refund. It takes a ton of work to avoid spending $1000s to fix these issues. Managing travel for a team isn’t technically complex, it just involves many moving parts and large sums of money. One error can cost thousands of dollars and days of unexpected work to fix. Not everyone should outsource their travel bookings and management. If you’re a small team that doesn’t travel much, you can handle it internally. The main benefit of the centralized style is a single person can hone their skills and save the company a small fortune. However, you should only centralize travel management if you have someone dedicated to operations. If you choose an engineer, you’ll hinder their core work. Even one trip a week is enough to lose one day a week when things go wrong. Tip: Only centralize travel management to operations staff. When insourcing your travel becomes too much, rather than hire a travel manager internally, it makes more sense to outsource. An outsourced team has more resources and experience. Most also have a global presence and provide 24/7 support. Free or cheap travel management services rely on commissions to survive and grow. Their commission goals are orthogonal to your savings goals. That’s because much of their effort goes towards maximizing their commissions, not improving your travel. Look at job ads for these companies: first line, “must have experience maximizing commission revenue”. Tip: Use travel managers who don’t rely on commissions. Even if you select a travel manager that doesn’t rely on commissions and charges you transparently upfront, it won’t go perfectly in the beginning. The travel manager needs to learn the way you work. This involves everything from your window vs. aisle preferences to whether your finance department uses cash vs. accrual accounting. Assuming you choose a great travel manager and you invest the time to help them understand your needs, you could still end up spending more. Have you ever searched Kayak and found better prices than your corporate travel manager? It’s because they’re limited to archaic booking systems. Most self-booking tools only use these systems too. Make sure you choose a manager who will always book the lowest price, whether on their legacy system or a cheap website like Kayak, and save you as much as possible every time. Tip: Use travel managers who can also book on consumer sites like Kayak. On the topic of savings, keep in mind the magic number in travel management outsourcing is 30%. That is, every travel manager promises to save you 30%. Of course none really do. They calculate this 30% from budget vs. cost using a budget they conveniently set at 30% above retail prices. Don’t get caught up in these advertised savings or promises of proprietary deals. The landscape has changed, online is cheaper for flights and hotels do their best deals per customer. Focus on whether your manager can book from all online sources and how they dedicate themselves to improving your travel, not hunting for commissions. Tip: Run a savings test with your travel manager against Kayak. Booking the best travel at the lowest prices is already tough enough, then you’re confronted with expense management. Expense management only partly relates to travel; there are many non-travel company-related expenses that also need claiming and accounting. This makes it tough to adopt the expense management system your travel manager suggests. They may know travel, but they probably don’t know your business. Here’s the key, you must hire a good low-cost bookkeeper and delegate them as “bad cop”. They will chase receipts, hunt down personal expenses and make sure everything is in order. This system may fall apart as soon as you hire traveling employees or if your team is particularly profligate, but it’s a good starting point. This will be anathema for companies who’ve already struggled with this system, but we think with some work it is still the simplest way to deal with expense management. Firstly, it puts major expenses on a single card, so reconciliation, refunds and chargebacks are easier. Secondly, minor spending is simplified; the onus of record keeping is on the spender. Lastly, with a uniform format, your bookkeeper can import the data directly to the general ledger to save time. Many of our customers have tried issuing company cards to all traveling employees, but most end up rescinding these cards. It can work, especially if you keep the onus of record keeping on the spender, but decentralizing involves more risk and effort. One last point, the best expense management will place spending on the right credit cards to maximize loyalty benefits. This may seem like too much, but it’s actually quite easy and the returns are immense. We will discuss the details of doing this in Credit Cards. Many airlines require you to show the credit card used for booking when checking in. This becomes an issue if you book travel with a single company card that travelers don’t carry. If you are denied boarding for this reason and you have enough time to spare, you can have your office send a credit card authorization form. Most of the time, you won’t have the spare time and you will lose that flight. You can often, not always, get around this by booking indirectly with an online travel agent (OTA). As you book, look out for any notices requiring you to show the booking card at check-in. If you see one, try another OTA or airline. Tip: Book with OTAs to avoid showing credit cards at check-in. Flexible fares are those you can change for lower fees (rarely no fees) at a later date. You can typically only change dates and times, not airports and passenger names. The problem is that a flexible fare can cost 2-3 times as much a discount fare. A flexible economy-class ticket can even cost more than a discount business-class ticket. Too many businesses enforce policies to only book flexible fares. This costs a fortune and almost never makes sense. See this example below, first class is less than the flexible economy ticket! If you are flying domestically and aren’t sure of your return date, just book a one-way ticket. Sure the return will be more expensive as you buy it nearer to the departure date, but often a lot cheaper than if you bought a flexible round-trip. Some levels of elite status will even provide cheap or free same-day fare changes for domestic flights. We discuss this later in Loyalty Programs. 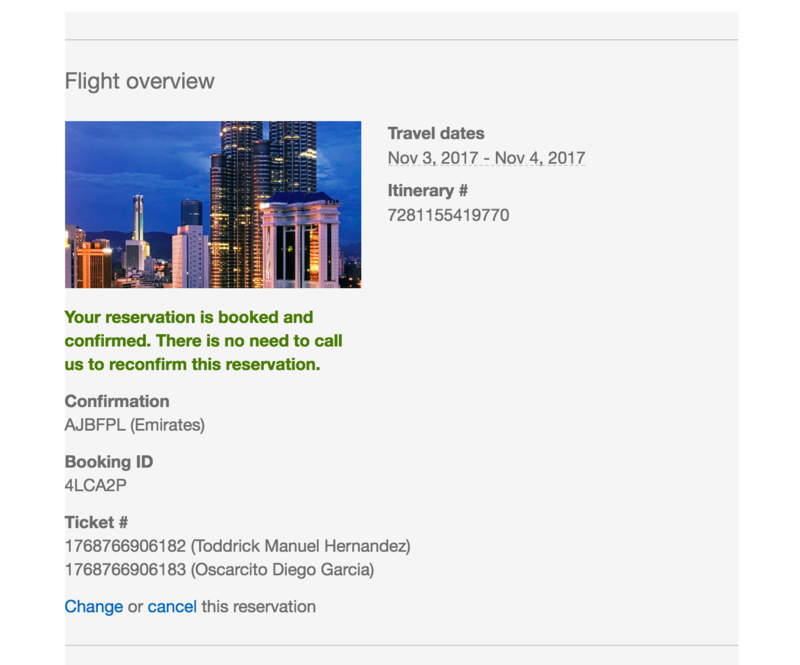 Tip: To maximize savings, only book discount fares. You may use www.supercheapultrabudgetflights.biz for your personal travel, but it’s too risky for team travel. Many less popular websites ticket by hand. This means when you pay, you aren’t guaranteed that flight. Later that day when the company tries to secure that flight for you, you may or may not actually get it. Most of the time they’ll let you know it didn’t ticket, but some require you to call to get a refund. This is a nightmare and can take hours on the phone. It’s just not worth it to save $50 on a flight, especially when you know the lower price is probably cached from days before and likely no longer available. Tip: Use popular travel websites for greater reliability. Every provider, even airlines themselves, forget to ticket on occasion. Across all of our customers, we see this weekly. What happens is you book online, the company sends you an email confirmation, you think it’s all good, then you arrive at the airport with no flight. A confirmation email and confirmation number are not enough. Instead, you need to receive an eTicket number. This typically includes the airline's 3-digit ticketing code, a 4-digit form number, a 6-digit serial number, and sometimes a check digit. Without this, you don’t have a ticket, period. When this happens and you arrive at the airport, you will need to buy a new last-minute ticket, which can cost thousands. On popular routes, the flight may be sold-out too, so you’ll have to buy business class or wait another day. Tip: Make sure you receive an eTicket number for every booking. Let’s say you need to fly from Singapore to Peru. Your initial searches show very high prices, but when you split the trip, let’s say in the US, the combined price is much lower. The risk with splitting a trip like this is missing the connection and having your second flight voided. Most travel insurance policies will NOT cover missing connections on split tickets, and airlines certainly won’t re-book you, so missing the connection can cost a small fortune. If you check a bag and need to re-check the bag on the connection, you really need to be careful and allow 5+ hours. If you travel carry-on only, then at least 3 hours is good. Remember, flights can be late, immigration lines can be long, terminal transfers can take forever. Airline status and swift legs won’t help in these situations. Tip: For split tickets, book layovers of at least 3-5 hours. Unlike flights, refundable and changeable hotel rates are relatively cheap. They could be anywhere from 5% to 25% more than the lowest rate. 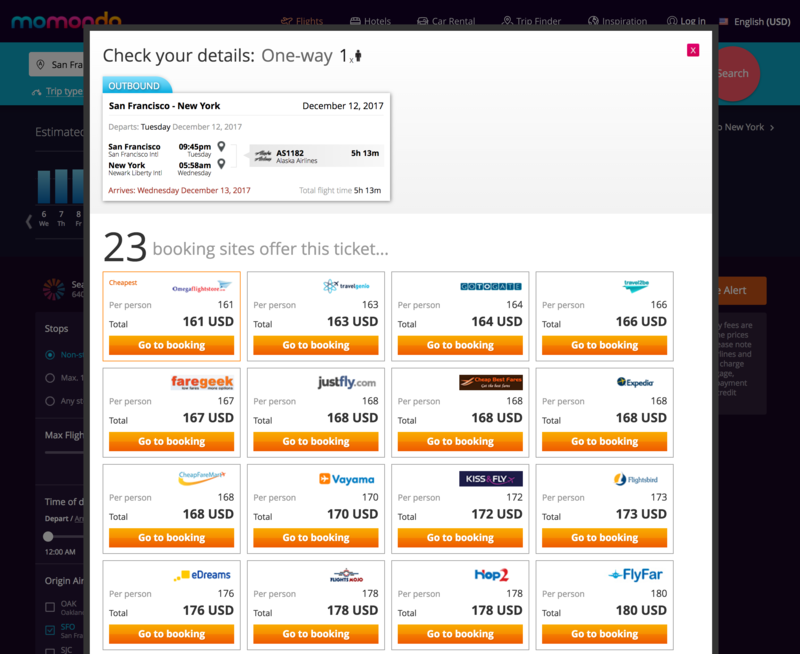 This makes them much more useful than flexible airline tickets, especially for teams who amend their travel plans often. However, the landscape is changing. There’s now a trend of refundable rates only being valid up to 24-48 hours before check-in. The booking then changes to non-refundable closer to departure. Watch out for these, especially if you tend to change your plans at the last minute. If you almost never change your hotel bookings, then go ahead and book the discount rate. Make sure you prepay it too to avoid needing a credit card authorization form. 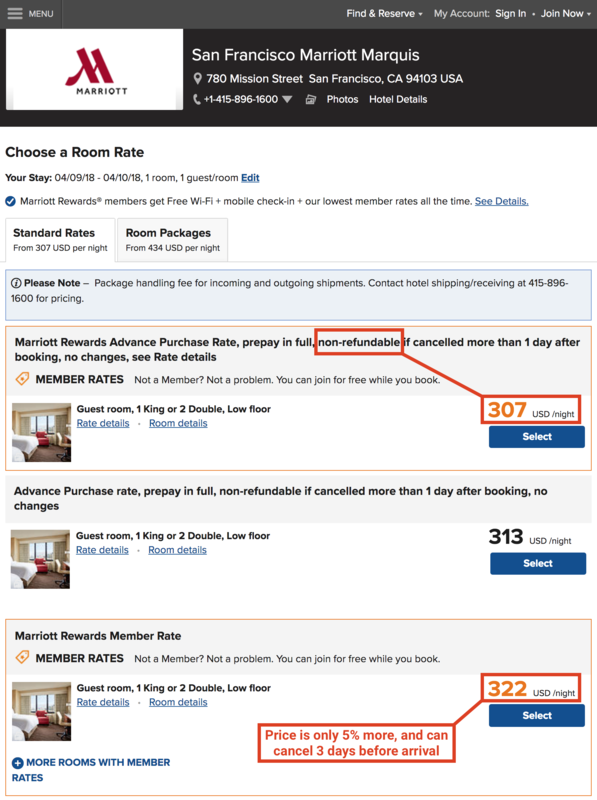 Tip: Book refundable rates on hotels more often than not. As mentioned, the problem with refundable rates is they aren’t prepaid, and rates that aren’t prepaid require you to present the credit card used for booking at check-in. The only way around this is to fax (boo!) an authorization form to the hotel. This is made worse by hotels often misplacing these forms. Like with flights, you can get around this by booking through non-airline websites, but unlike flights, you will miss out on elite benefits and cannot use a corporate discount code. If saving money with refundable rates is important to the way your team travels, then make sure to stay on top of faxing authorization forms. Also tell travelers not to pay on their own cards if a hotel misplaces a form (or you forgot to send it). Reimbursing and reconciling takes a lot longer than quickly sending off another fax to the hotel. Tip: Use an online fax service to send authorization forms. Unlike airlines, hotels will regularly offer discounted rates for companies who spend enough. If your spend isn’t quite enough with the large hotel chains, check with boutique hotels. The first step is to simply ask. This works best when you use the same hotel often. For example, a hotel near your headquarters for job candidates, guests and employees from other offices. We proactively secure these rates for many of our customers and have success in most cases. They then save anywhere from 10% to 50% with those rates. Tip: If you use a hotel often, simply ask for a discount rate. When booking hotels to accompany flights, also account for the cost to transfer to and from the airport. You may book a lower quality hotel for a $20 saving, but then spend $50 each way for an Uber from the airport. Luckily, some hotels offer a free shuttle service. The savings are especially significant for single night stays. A cheaper hotel may be $120, whereas a hotel with a free shuttle service could be $150. The cost including these transfers would then be $220 and $150 respectively. 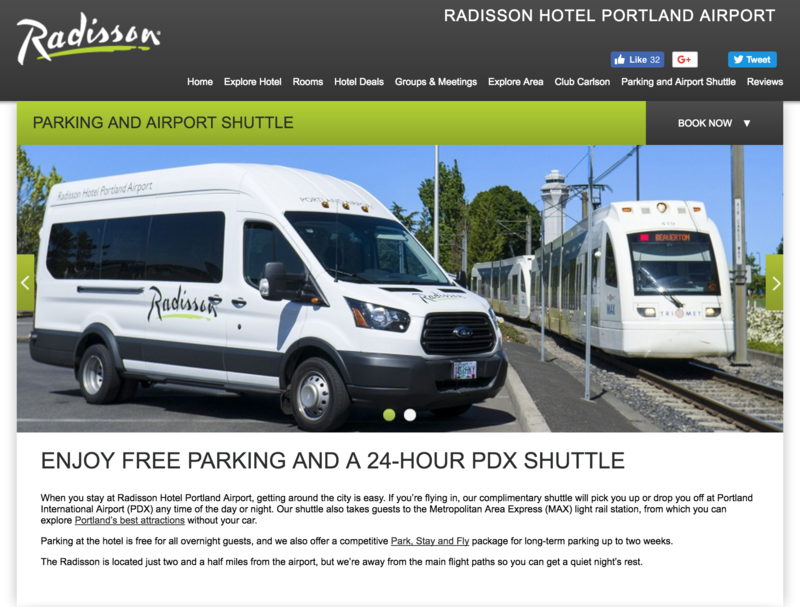 Some hotels also offer a paid shuttle service. This can still save money and time depending on the price of hotels without competing services. Tip: Book hotels with shuttles when transfers are expensive. A few years ago, vacation rentals (Airbnb, VRBO, etc.) were too much work for business travel. You’d have to meet the host at a predetermined time, hope they actually arrived, then deal with those who forgot to restock towels and coffee. Today, they’re becoming better for business travel. Vacation rentals are still more work, especially when a host cancels at the last minute, but they really are becoming better for business travel. 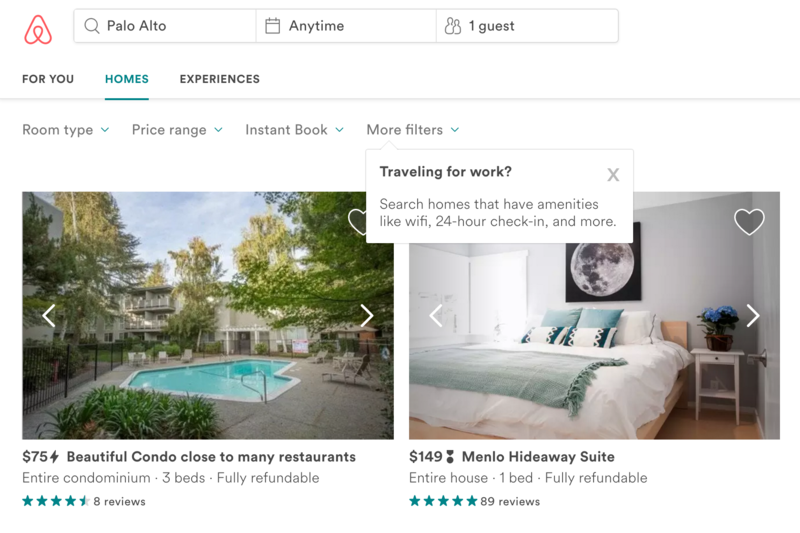 Tip: Check Airbnb/VRBO/etc for savings and availability. Quite simply, you shouldn’t rent cars. With Uber, Lyft and similar services, the hassle of renting cars is just not worth it. In many cases, using a car service will be cheaper than renting a car. When it’s not, it still may be cheaper when you consider the time it takes to collect the car, park the car, pay for parking ($20-50/day at the hotel), refuel the car, and drop off the car. From the many thousands of trips we have booked, less than 1% involve a rental car. If you’re still unsure, just think back to that time when you spent more than an hour waiting to collect a car. At the time, it probably seemed like the most maddening thing in the universe. All of that is avoided using a car service. If you must rent a car, for example in remote destinations, you can save by booking a car “off-lot”, meaning you need a shuttle from the airport to collect/return the car. However, the savings are rarely worth it and it can drive your travelers crazy when they have to wait another 20 minutes for the car rental shuttle. Tip: Use instant car services over rentals to save time and money. Airlines know most business travelers travel during the week. By including a Saturday in a booking, you can save more than 50%. This example saves almost 70%. You can use the additional $2,000 to pay for the extra hotel nights and still have a lot left. 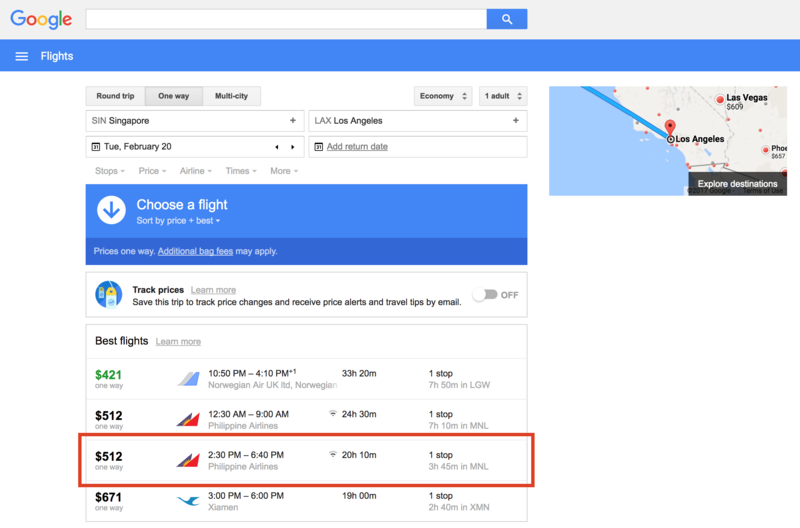 Tip: Include a Saturday in flight bookings to save. Using the same example as above, let’s assume you absolutely must return on the Friday and still want non-stop flights. This isn’t as cheap as including Saturday, but still a lot cheaper than booking the round-trip. One-ways will allow for a lot more freedom when the traveler’s schedule is undecided. Tip: When round-trips are expensive, check two one-ways. The most effective way to check flight and hotel prices is to check a handful of websites known for having the best deals. At Flightfox, we check hundreds of providers, brokers and consolidators for every trip, but you only need a few to do a reasonably good job. 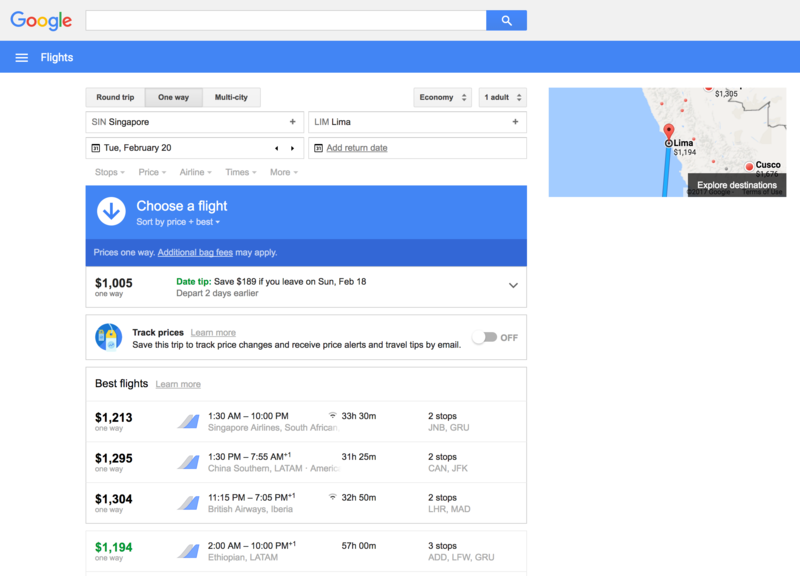 Most people have a favorite, let’s say Google Flights. 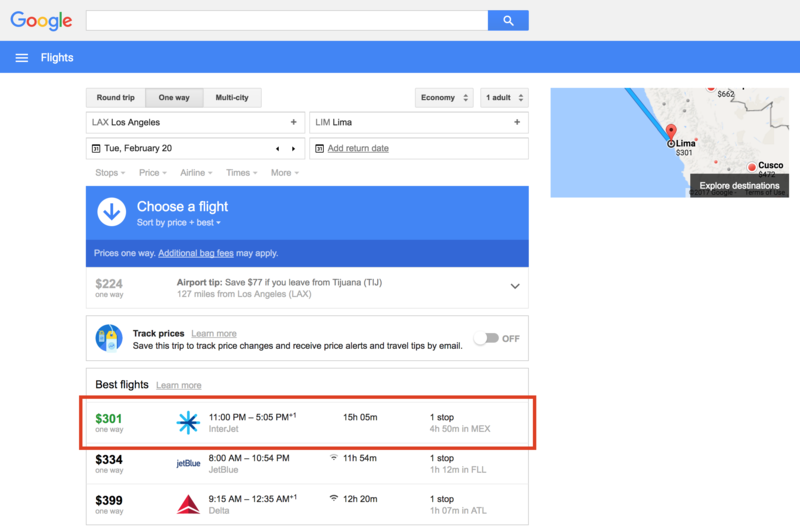 If you only use Google Flights, you will pay a lot more for your flights on average. We run thousands of searches every day and we often see prices at $100s or even $1000s higher on Google Flights; the same goes for all websites. 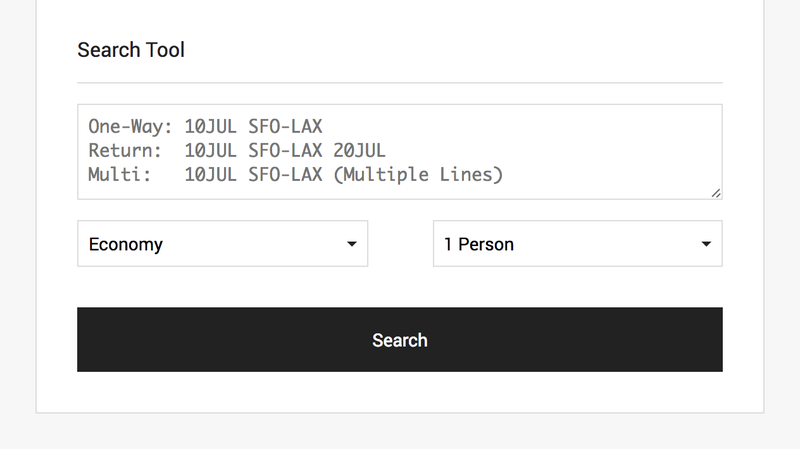 If you have access to a coder, get them to spend 10 minutes to whip up a simple interface that takes your flight/hotel input and opens up a few search engines with that input. This alone will save many hours of searching. Tip: Search 3-5 of the best websites for every trip. This applies to both flights and hotels. It will save you more on flights, but work more often on hotels. Let’s look at a flight example. Imagine you want to fly one-way in business class to Tokyo. You’d like to secure more meetings in Asia before returning to the US, but you don’t have anything yet, so you want the flexibility of a one-way. You would also like to fly non-stop because it will save 5 or so hours. This flight on ANA looks perfect, but it’s $4,295. Let’s check award space, just in case. The exact same flight is bookable for 65,000 United miles, plus $5.60 in taxes. United currently has a promo selling their miles that results in a cost of $1137.50 + $5.60 in taxes, which equals $1,143. That’s a saving of more than 70%. We do this a lot for customers and save them a fortune. It’s even easier with hotels since more hotels sell their own points. They release more award space too. Tip: Buying and using miles for travel can save a fortune. Airlines maximize revenue by segmenting customers. If you can pay more, they want you to pay more. If you can't pay as much as other customers, they don't want to lose your business, they'll find a way for your to pay less. This segmentation is done in many ways, for example, by destination. This means you can add a cheaper destination to an expensive detaination to drop the overall price. What's more, you can get a free vacation out of it too. 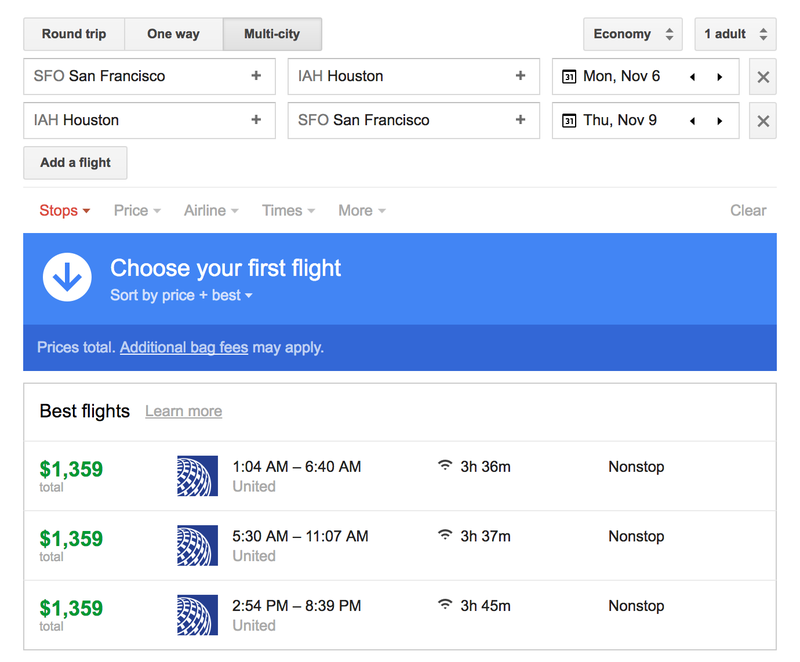 This last-minute non-stop round-trip SFO-IAH is $1,359. 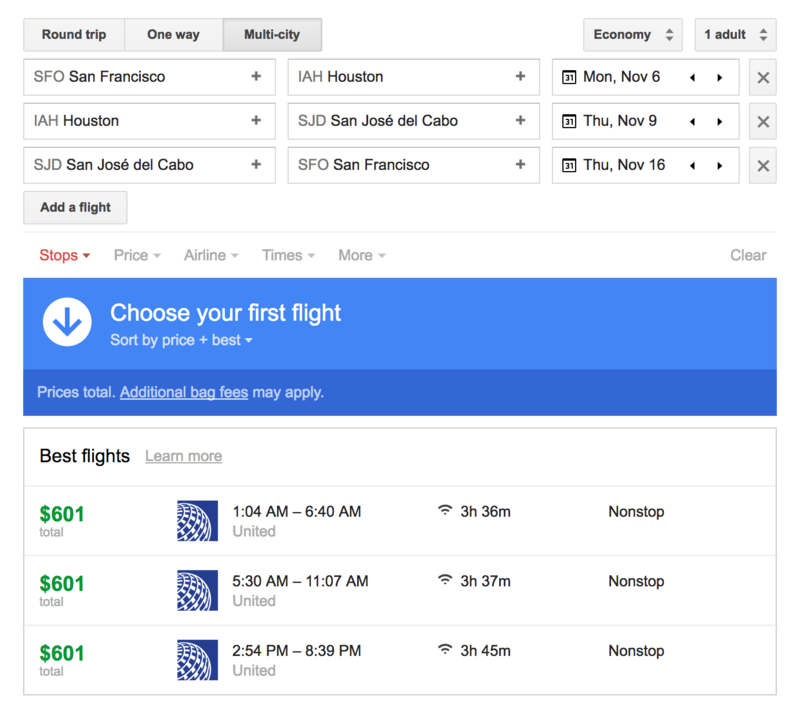 Let's keep these same flights, but add a trip to Cabo. Woohoo! You get the same SFO-IAH flights, but for only $601 (56% saving) AND a free trip. Tip: Adding a destination can save a fortune and provide a free vacation. If you want to learn more about credit cards for businesses, check out our previous post here. In this post, we focus on the basics of maximizing value. Almost every bank and credit card provider offers a reward program that earns a reward for your spending. You typically earn one reward point per dollar spent and can redeem those points for cash, products, services or travel. The most important requirement when choosing a credit card is that its reward points can be transferred directly to multiple airline and hotel partners. Transferring points directly to airlines and hotel partners is how you maximize value. Other programs will instead convert your points to cash (at a low rate) to book travel at retail prices. The difference in value is significant. There are some others, especially when using airline-branded cards (more info), but the above programs have the best earning rates, the best bonus categories and the most airline and hotel transfer partners. Tip: Use a card that transfers points directly to partners. The second most important requirement when choosing a credit card is that it’s bonus reward categories align with your spending habits. You typically earn one reward point per dollar spent, but with bonus categories you can earn up to five reward points per dollar spent. 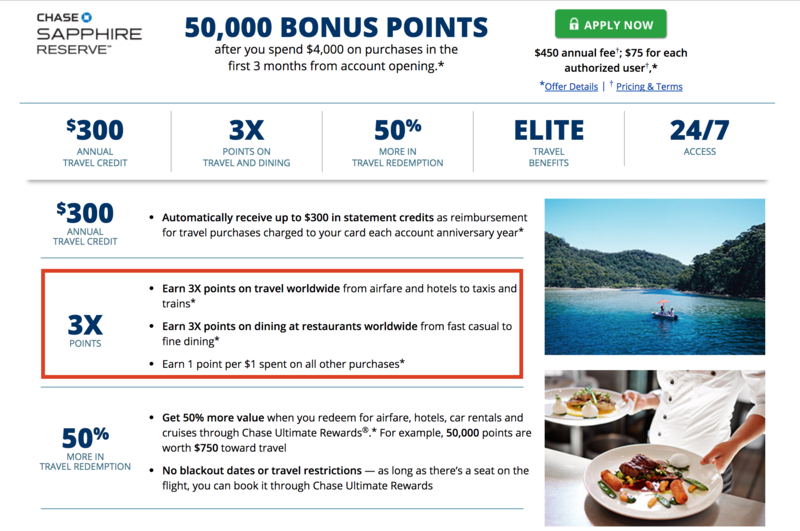 Let’s say you spend $100,000 and redeem the associated 100,000 points for flights worth $5,000. That’s a return of 5%. If you only had to spend $20,000 to earn that 100,000 points (using a 5x bonus category), the return would be 25%. If your business spends heavily in any of these areas, then you can easily double or triple the value you earn from points. Tip: Use a card that earns maximum bonus points on your spend. To extract the most value from your balance of reward points, use them to offset the most expensive items possible. This almost always means travel. Even within travel, you can get poor value, for example, using 10,000 points to redeem a sub-$100 flight. So make sure to redeem for the most expensive travel you normally take. When paying cash for flights, international first class can cost anywhere from 5-to-10 times the price of economy. 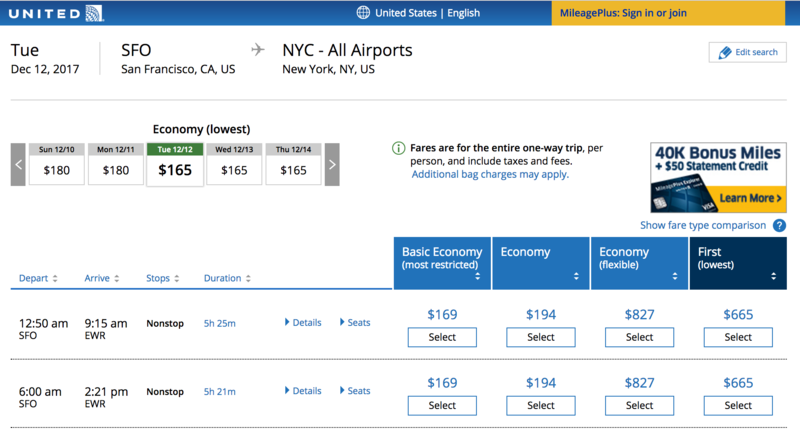 When using miles to redeem flights, first class costs 2-to-3 times the price of economy. This makes using miles even more valuable than the banks tell you. Using Chase points for this flight gives 50,000 points a value of roughly $5,770, which is 9 times the value Chase says those points are worth. The same goes with expensive last-minute flights, hotels and one-way flights. You have probably seen cases where one-way flights are just as expensive as round-trips. With miles, one-ways cost exactly half the miles of a round-trip. 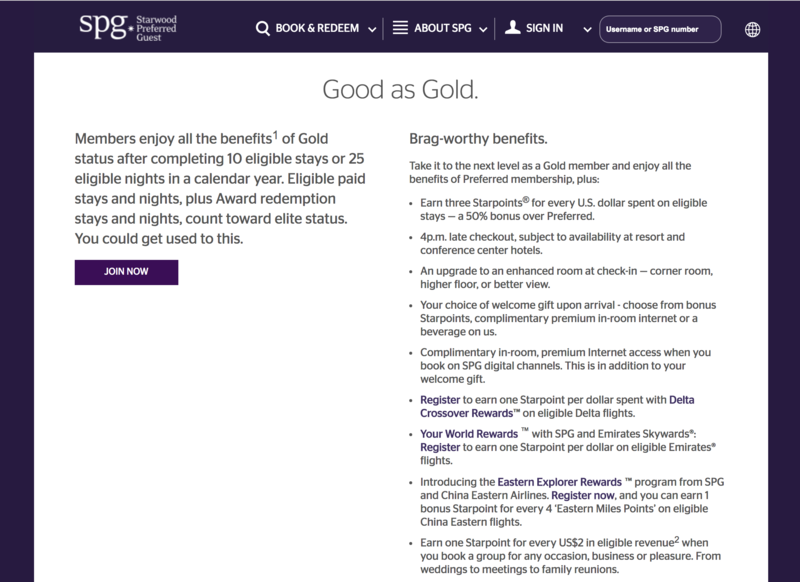 Tip: Redeem miles for premium/last-minute/one-way flights and expensive hotels. Gone are the days of needing to buy separate travel insurance. Most premium credit cards now have excellent policies that cover you if you purchase your travel on the card. What does the policy cover? Accidents? Injuries? Sickness? What are the exceptions (e.g. traveling in a rental car)? What are the caps on coverage (e.g. $100,000 for injury)? Who is covered? Spouse? Children? Colleagues? Friends? Who pays for emergency evacuation? Any caps? How about lost luggage? What are the caps? What is the company’s record of paying? By far, the most important points are who is covered and whether emergency evacuation is covered. The rest of the terms are a little less relevant to major emergencies. Sure it’d be nice to have a higher cap on baggage, but the value of your bags is probably insignificant compared to the cost of emergency evacuation from a remote area. Tip: Use a card that insures the worst travel emergencies. A premium card like the American Express Platinum provides many benefits, but the annual fee is currently more than $500, so it would be expensive to issue this card to a large team. However, you can gift many of the benefits to someone else by adding them as an authorized user. With American Express, you can even control spending limits on each authorized card. Sometimes, there are restrictions to adding authorized users. On consumer cards, you can only add people within your household. Whereas for business cards, you can add colleagues too. Adding authorized users can also let you transfer points to their airline and hotel reward accounts. In cases where providers only let you use miles/points for yourself and family, this can be particularly helpful. Tip: Add authorized users to share credit card benefits. Airline miles are less valuable than the best credit card points because you have fewer options to redeem them. As with credit card points, they’re best used to redeem premium-class, last-minute and one-way flights. Free checked bags aren’t really needed because you’re a savvy road warrior, right? Priority boarding is nice when overhead bin space is limited and you don’t want to gate-check your bag. Upgrades are always nice, especially on international flights, but you really need to fly a lot to win this lottery. Lounge access is great for layovers, but you can access lounges by paying each time, using the Priority Pass, or via your credit card benefits. The rest of the list is neither here nor there. The main issue is that earning airline elite status is more difficult than ever, so most travelers need to find another way. Importantly, all of these benefits can be purchased separately. Sometimes they cost a lot, such as buying a business-class fare, other times they’re cheap, such as seat selection. Otherwise, there aren’t really any “white hat” ways to earn status. “Grey hat” is another story for another day. Tip: Buy benefits separately if you don’t fly enough. Hotel elite status benefits are typically more useful to business travelers than airline elite benefits. By far the best benefit is early check-in and late check-out. Remember that time when your flight landed early and you had to occupy yourself for hours before checking in. Or that time when your flight left late and you had to check-out at midday and sit in the airport for hours? With most hotel elite status programs, you can avoid those situations. As for the other benefits, free breakfast and lounge access can save you a small fortune, especially if you aren’t committed to #cleaneats. Room upgrades and faster internet are useful too. The problem is you need to stay many nights to qualify for elite status the traditional way. If you don’t travel that much, there are always credit cards. A handful of cards offer Starwood/Marriott/Ritz gold status and a few hotel-branded cards offer instant status too. This is the easiest and cheapest way to earn status, even if you travel a lot but don’t want to commit to a single hotel chain. Tip: Use credit cards to gain hotel elite status. Reward programs aren’t designed to reward you, they’re designed to increase revenue for the airline or hotel. I mention this because too many people try to achieve elite status when it doesn’t make financial sense. They end up spending a lot more for the privilege of status than buying the benefits separately. If you travel internationally, it may only take one or two trips per month to reach a useful level of status. If you travel domestically, then it can take many trips a month. Even if you do travel this much, it is rare that a single provider always offers the best price. So to maintain loyalty, you have to pay more for your trips. That extra cost, totaled across the year, is the cost of your loyalty and elite status. The key is to objectively ask yourself whether the benefits from status would be cheaper bought separately. Regarding these benefits, the allure may be greater than the value of the benefits themselves. Let’s take airline upgrades. There are limited seats available to upgrade, so airlines allocate upgrades according to your status (and now also your spending). For example with United Airlines, if you have Platinum status, you will only receive an upgrade if there aren’t too many 1Ks and Platinums ahead of you. Tip: Only aim for elite status if it makes financial sense. To understand the value of corporate airline programs, visit the links below. These posts delve deep into the potential value of these programs, which can be immense in certain situations. 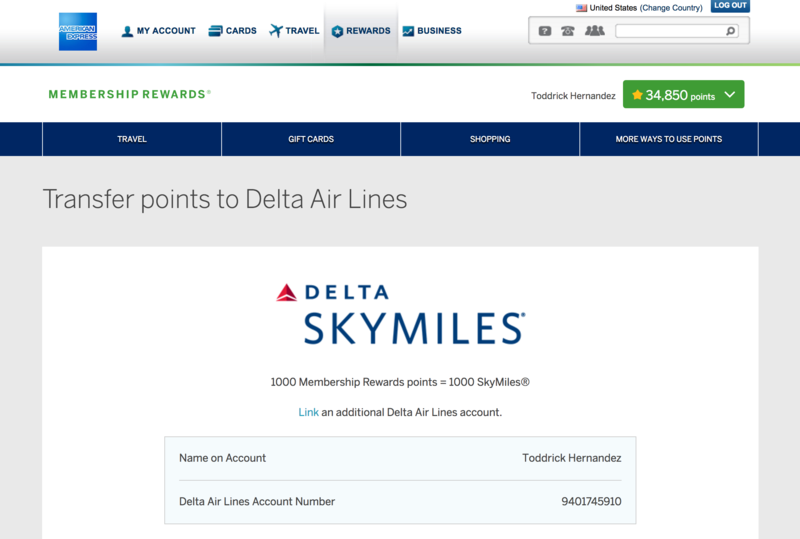 For example, if you are based out of Atlanta (Delta’s main hub), you definitely want to register for Skybonus. Tip: Use corporate programs, especially if based near a hub. Let’s say you’ve taken a ton of United flights this year and you’re close to reaching 1K elite status, but you predict you won’t quite reach it by the end of the year. You can construct an itinerary that earns those additional miles for the lowest price possible so you qualify. This is called a mileage run. A mileage run involves flying a flight itinerary purely for the purpose of earning miles. This can be for redeemable miles or elite status miles. A mattress run involves booking nights at hotels purely for the purpose of accumulating qualifying nights to earn elite status. The average person thinks people who do these things are crazy and obsessed. But when you travel that much each year, the differences between status levels can make the difference between whether you travel in pain or in comfort. Tip: Use mileage runs to earn status, but only if already close.